We are 43 Jewish, civil rights and education advocacy organizations, representing hundreds of thousands of supporters, including many within the UC Berkeley community, who are deeply concerned about a student-taught, credit-bearing course entitled “Palestine: A Settler Colonial Analysis” that is currently being offered as one of the academic senate-approved DeCal courses at UC Berkeley this semester. We believe that this course violates the Regents Policy on Course Content, which specifically prohibits using the classroom “as an instrument for the advance of partisan interest” or for “political indoctrination.” Furthermore, it appears that compliance with the Regents Policy is not even a requirement of the present procedure for vetting DeCal courses, allowing for the unbridled misuse of the classroom by politically-motivated instructors. This state of affairs requires rectification. Course Learning Objectives – These make it clear that a key goal of the class is to encourage students to accept unquestioningly the false and defamatory idea that Israel is an illegitimate settler colonial state. Furthermore, by the end of the course students are required to have “researched, formulated, and presented decolonial alternatives to the current situation,” which, in the context of the other course objectives, means that a significant part of the course will be devoted to thinking about ways to “decolonize” — that is, eliminate — Israel. Course Readings – All of the course readings, without exception, have a blatantly anti-Israel bias, and most contain language that demonizes and delegitimizes Israel and is recognized as antisemitic by the U.S. government, democratic world leaders, scholars of antisemitism and the Jewish community. 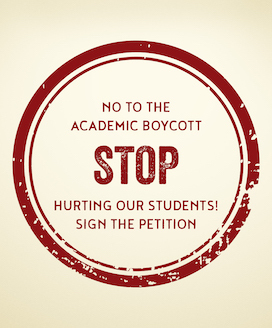 In addition, virtually all of the authors of the course readings have either publicly endorsed an academic boycott of Israel, called for the dismantling of Israel, or both. Guest Speakers – Both guest speakers listed in the syllabus — Keith Feldman and Hatem Bazian — have publicly supported an academic boycott of Israel, and Bazian, who is also the course’s faculty sponsor, is himself a well-known leader of the anti-Israel boycott, divestment, sanctions (BDS) movement as well as campaigns to eliminate the Jewish state. The political bias and tendentiousness of the course syllabus is not surprising in light of the extreme anti-Zionist political orientation and behavior of both the course’s student instructor and its faculty advisor. Paul Hadweh, the student instructor, is an active member of UCB’s Students for Justice in Palestine (SJP), an avowedly anti-Zionist group that advocates for the elimination of the Jewish state and promotes BDS on campus. Senior Lecturer Hatem Bazian, faculty advisor for the course, is a well-known anti-Zionist activist who is also the chairman of American Muslims for Palestine (AMP), which, according to the Anti-Defamation League, is “the leading organization providing anti-Zionist training and education to students,” placing a “heavy emphasis on supporting and helping coordinate the activity of Students for Justice in Palestine”. In addition, on multiple occasions Bazian has openly expressed the view that it is legitimate to bring anti-Zionist activism into the classroom or other academic settings. Even more troubling than the course’s clear attempts to promote a partisan interest and indoctrinate students is the fact that “Palestine: A Settler Colonial Analysis” was able to successfully pass through a review process overseen by an administrative staff and members of the UCB academic senate. Of the 194 DeCal courses taught this semester, this is the only one that is blatantly politically motivated and directed. The egregious anti-Zionist bias of the syllabus, along with publicly available information about the extreme political bias and activism of the course instructor and faculty advisor, should have raised many red flags for the staff and faculty members responsible for overseeing the DeCal program. We believe that had this course been properly evaluated in light of the Regents Policy on Course Content, it would never have been offered. In 2014, UC Provost Aimee Dorr issued two statements reaffirming the University of California’s commitment to enforcing the Regents Policy on Course Content for courses taught by both students and faculty. However, an examination of the vetting procedure for DeCal courses reveals that at no stage of the process is a course ever evaluated for its compliance with the Regents Policy. Indeed, that policy is noticeably absent from the list of UC Policies that student instructors are required to abide by and from the checklist they must fill out when submitting proposals to teach a DeCal course; it is noticeably absent from the list of requirements that faculty advisors and department chairs must comply with when their students apply to teach DeCal courses; and, most surprisingly, it is noticeably absent from the list of criteria used by members of the UCB Academic Senate Committee on Courses of Instruction (COCI) when they are reviewing DeCal course proposals — and in fact, all new course proposals. Omitting any assessment of whether a DeCal course — or any credit-bearing course — complies with the Regents Policy on Course Content and is free from “the advance of partisan interest” or “political indoctrination” not only allows for the unbridled politicization and corruption of the academic mission of the university, it opens the classroom to the basest kind of political hatred and intolerance, which cannot help but degrade the campus climate for all students. 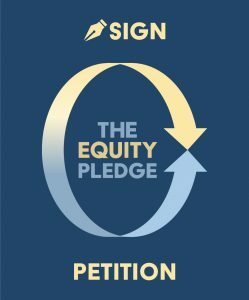 Publicly affirm your commitment to enforcing the Regents Policy on Course Content in the vetting of all courses taught by students and faculty at UCB. Direct the staff responsible for the DeCal program to ensure that compliance with the Regents Policy is part of the checklists required of student instructors, faculty advisors and department chairs. Direct the UCB Academic Senate to ensure that all future courses reviewed by COCI, whether taught by students or faculty, must be carefully evaluated for their compliance with the Regents Policy on Course Content. Thank you for your consideration of this very important matter. We look forward to hearing from you.